Mejjige Huli is a lunch staple at most South Indian homes. 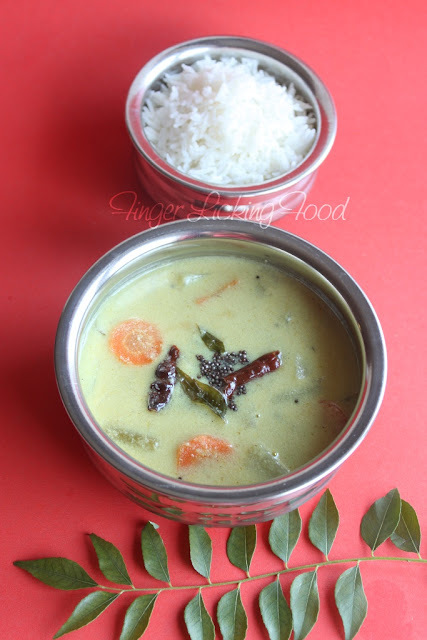 Typically made with White pumpkin and a yoghurt based sauce, its mildly flavored and goes perfectly with rice. Its made more commonly in the sweltering summer months, to cool off the palate. My hubby shuns pumpkins in any shape, size or color so I improvised on the Mejjige Huli by adding a combination of vegetables and spices. It tasted just as good. There are many versions to the Mejjige Huli, this is one of them. Boil the veggies in water with a little salt. Make a smooth paste of the grinding ingredients. Add the paste to the boiled vegetables, and salt to taste. Bring to a boil on medium heat. Prepare seasoning by heating the oil in a small pan. 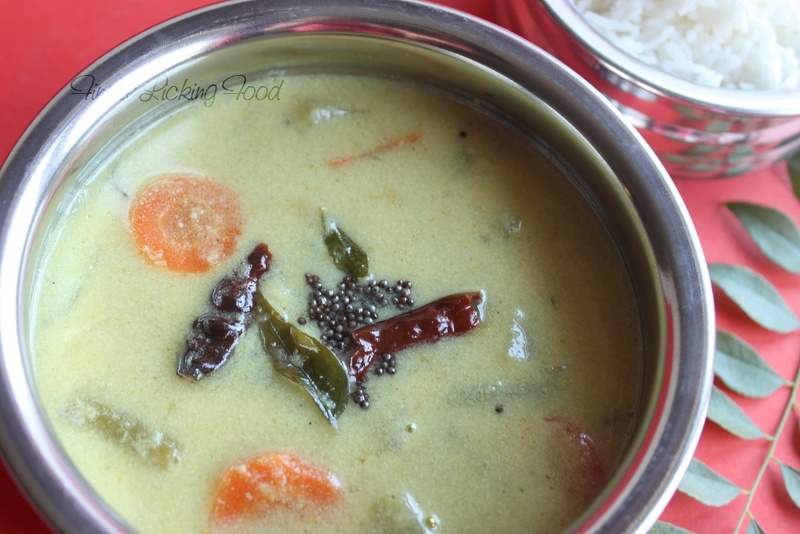 Add the mustard seeds, curry leaves and dry chillies; saute for a few seconds. When the huli begins to boil remove from heat and add seasoning. 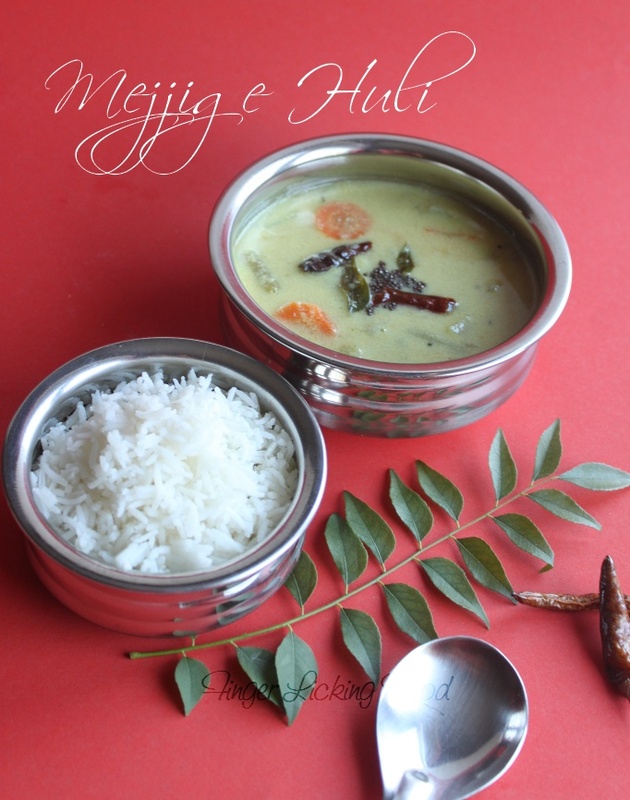 Mejjige huli looks delicious and extremely inviting..
Looks amazingly appetizing! Love it! This is something new to me, looks yummy!